why has my blood pressure altered downwards on the second time of monitoring it. I took my BP reading which came in at 141/81 and then upon immediately taking the reading again it had dropped to 128/81. This has happened several times lately and I wonder why. Sometimes my bp is 117/64 sometimes it is 160/80 resting? I take atenolol. WHY. 192 OVER 92 i’M VERY SENSITIVE TO ALL MEDS i CAN’T EVEN TAKE PAIN PILL FOR THE CRONIC PAIN. Have you been diagnosed with anxiety? Therapy could help. Walking is good. Can you take Valium? 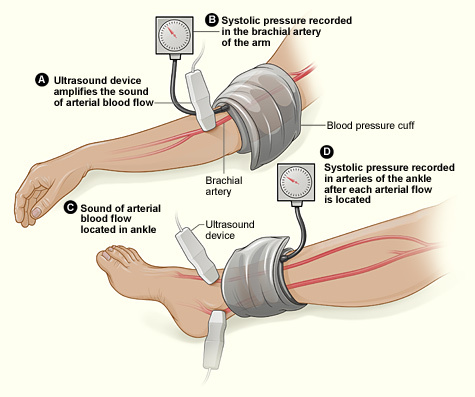 Ideally how often should a blood pressure be measured? When I checked my BP in the morning, it reads 135/92. But in the evening after riding bike for 15 minutes I reached home and immediately checked it and it shows 150/105. Is this natural? Yes it is natural. When I check my morning reading it’s about 130/80 and then I use the bathroom and eat and relax for 5-10 minutes and I take it and it goes back down to 113-121/77-80. When I goto the gym and after workout i immediately take it and mine is about 160/100.. Rest for 15 minutes and it goes back down to 113-121/77-80. To get an accurate reading you must rest for 5-10 minutes and sit still and don’t move and don’t talk dont figit and don’t think to hard! then take it 3 times and average it out. I was wondering why does bp change. I am 21 and I have been stressing out about money the past 3 years but i took my blood pressure at a store and it said 165/101 . then 2 minutes later i took it then it said 143/95 .. I since then changed my diet and started working out. Now I walked from my car to the store and took a reading it was at 141/90 then I sat down relaxed for a couple minutes and it read 123/85 am i good? Should I just continue to work out and eat good? I am 21 and i dont want to worry about bp. I have anxiet everytime i goto a dr it reads in the 140 range but the dr never worried about it. First, store BP monitors are notoriously out of whack. The accepted proper method for taking your BP is to sit quietly for 5-10 minutes with empty bladder and bowels, both feet on the ground, sitting straight with your back supported, THEN take the measurement. Be sure you haven’t eaten or drank alcohol in the hour prior to the measurement. Otherwise you will never get a baseline and your BP numbers will be all over the place. Anxiety at the doctor’s office is called “white coat syndrome” and produces elevated BP readings that are not significant. You might want to treat the anxiety itself. When I walk from my car to a pharmacy and sit down I take my BP and it’s around 138/88 and then I relax and try to get in a zen state of mind for about two minutes and then I take my BP and the readings are from 113-121/77-80. I usually take them three times after relaxing the first two minutes and the readings are always around the same, are these readings to rule out high blood pressure? Also why does standing up and then sitting down raise my bp from 117/77 to about 130/80 then when i rest for one minute it goes back down to 113-118/77-80? When I take consecutive blood pressure readings the second and subsequent readings are significantly lower than the first. For example, my first reading in the morning was 142/70 while the second a minute later was 117/68. Which readings would accurately represent my blood pressure. Should I be concerned with the first higher readings? My blood pressure readings also seem to go down after sequential readings. I recall, but may be mistaken, that the readings should be done after 2 or 3 minutes. and then perhaps averaged. I use a smartphone app ( I have an Android but iPhone have them too) which allows me to save my BP at various times of the day and it prepares a graph and data which can be printed out and shown to a doctor. Still, in relation to your question… I’m still waiting for an answer. Sit correctly. Sit with your back straight with your feet flat on the floor. Don’t cross your legs. Your arm should be supported on the table with your upper arm at heart level. Check your station’s instructions for more information. Be still. Also, don’t smoke, drink caffeinated beverages or exercise 30 minutes before measuring your blood pressure. Take multiple readings. Each time you measure, take two or three readings one minute apart and record all the results. Measure at the same time. You blood pressure may be higher or lower at different times of the day. Pick the same time each day, such as morning or evening, to check your pressure. Most people think stroke when they think high blood pressure but really they should be thinking about chronic kidney disease (CKD). High blood pressure will burst the smallest capillaries in the body and they happen to be located in the nephrons in the kidneys. While we have billions of nephrons, when one is gone, it can never be restored; it is gone forever. Our kidney functions similar to a coffee filter. When we destroy our nephrons it is equivalent to punching a small hole in the coffee filter. Consistent high blood pressure (like a garden hose turned on high when it is clamped at the other end and then it bursts) will continue to burst capillaries and slowly loose nephron function. In your older years this will result in Stages I,II, or III CKD. BTW: stages I + II are reversible with a low protein diet (0.5-0.6g of Protein per kg of body wt) and stage III can be kept from getting worse with this diet. A plant based diet has been shown to have better results due to the higher nitrogen concentrations of animal foods. Animal foods have greater nitrogenous waste which results in greater urea. Urea is what damages the kidney and slowly destroys the kidney function. If CKD goes to stage 4 many physicians recommend an extremely low protein diet to delay dialysis, but this is only a temporary delay due to the inevitable progress of stage IV to stage V, which requires dialysis, likely for the rest of your life. Unfortunately busy nephrologists do not typically treat stages I + II CKD, and primary care physicians might not even notice it due to the “within normal limits” of the serum creatinine. If you have high blood pressure, even just slightly raised, bring it down to within normal limits and keep it there (readings taken 15 minutes after sitting and before meals). Take your medications to do this. Do not be like me, letting your first line of defense to be lifestyle change. While I am a huge proponent of lifestyle change, you must first bring the blood pressure down and second, but in conjunction with, make lifestyle changes by getting daily aerobic exercise, reducing sodium intake to less then 1500mg per day and increasing your plant consumption while working toward a plant based diet and decreasing all animal based foods. I was sure I could decrease my 145/95 BP with lifestyle. I worked on this for 10 years before I was aware of the kidney connection. Not even knowing I likely had CKD stages I and then II for years, I was not diagnosed until CKD stage III with a glomerular filtration rate (GFR) of 38 (CKD GFR ranges: Stage 1= 100-90; Stage II = 89-60; Stage III = 59-30, Sate IV = 29-15; Stage V = 100, 1 gram of protein per kg of body wt is sufficient. Changing this to plant protein would be all the better. Contrary to what you might think, you can build muscle on a plant-based diet. There are many Olympiads, competitive sport enthusiast, and lifers who are on a plant based diet. Bottom line: protect your kidneys by normalizing your blood pressure. Jan; Registered Dietitian and Holistic Nutritionist working full time in dialysis and part time as a consultant. Reading this reply has helped me understand my own situation better, thankyou. it is nice information and helpful. I’ve been trying to overcome anxiety for the past 2 years. My blood pressure has of course increased due to my nervousness. The crazy part is that the reason I am anxious is because I am worried about my blood pressure all the time :-(. I’m going to Therapy, acupunture, started working out a little and almost have a phobia of food because I don’t want to eat salt at all. I also have this compulsive behavior of checking my bp several times a day just to make sure it is within normal range, which of course is not good to do. I’m on bp meds, but I just want to see that by bp is less than or equal to 120/80. I am not medically qualified, but from my own experience, yes stress and anxiety is hard to deal with. Here are a few modest ideas which might help a bit. (1) Soothing, classical music. Something uplifting which you can lose yourself in. Have you tried listening to music by Palestrina (Giovanni Pierluigi da…), ignore the religious connotations, it is just soothing and uplifting. (2) I found tai chi modestly helpful because it engaged both mind and body at the same time. (3) Relaxation exercises with tapes / sound track can help. I have had 10 years of blood pressure spikes with ER visits on 4 occasions. I was on low dose enalapril but had some side effects. I tried naturopathic tincture which helped and also carditone. I exercise daily and eat well. Blood pressure fluctuated a lot over the day and was always elevated when I went to the doctor. About 2 months ago, after doing research on BP, I came across the book “You’re not sick, you’re thirsty” which points to dehydration and inadequate proper salt intake as one cause of Hypertension. I realized that those times I was in the ER followed a day of little water intake. I increased my water intake after reading the book and also started on a dietary supplement of 1 quart green smoothies every day. My blood pressure has stabilized and I have been off medication for the past 2 weeks as my BP is now usually (often well) under 120/60. I think the hydration issue is key. @Alma. That’s unlikely. My bp runs 90/55 at night and so does my wife’s bp. Mine probably dips lower because I take a beta blocker on top of that. We don’t have chest pains. You could have costochondritis (inflammation of cartilage between your ribs). I used to get that. Or you might have acid reflux, which can have referred pain.. it would get worse when laying down. If you have pain radiating around your back and down your left arm, in your jaw perhaps.. you might want to get checked out asap. But otherwise try sleeping with your bed on an angle (put some bricks under the headboard posts) and take some advil before going to bed (in case it is costochondritis). I bet you won’t have the pain the next morning. BUT, I am not a doctor so don’t take my word for a doctor. My BP is 105 to 110 over 60 to 70. Recently, I have been wake up with slight chest tightness/aches that seem to go away soon after being awake. I sleep a full and sound 8 hours without interruption. My questions is, does my BP drop too low at night and cause this pain? Can anyone tell me where to find the evidence that BP medication reduces the risk of a cardiovascular event in an otherwise healthy person; and by how much? Perry, BP _medication_ does not in itself reduce the risk of a cardiovascular event. The medication has the effect of reducing the average BP. The studies that have looked at this are mere statistical analyses that correlate risk of an event with BP numbers. You should look at the 1999 Hypertension Optimal Treatment (HOT) trial. It’s referenced in the WHO hypertension guidelines: http://www.who.int/entity/cardiovascular_diseases/guidelines/hypertension_guidelines.pdf What’s interesting is that it concludes that while the _optimal_ reduction of major cardiovascular events occurs at 139/83, the data itself shows that _most_ of the benefit was achieved by lowering blood pressure to 150/90. Of course, there are other studies too.. Happy hunting!